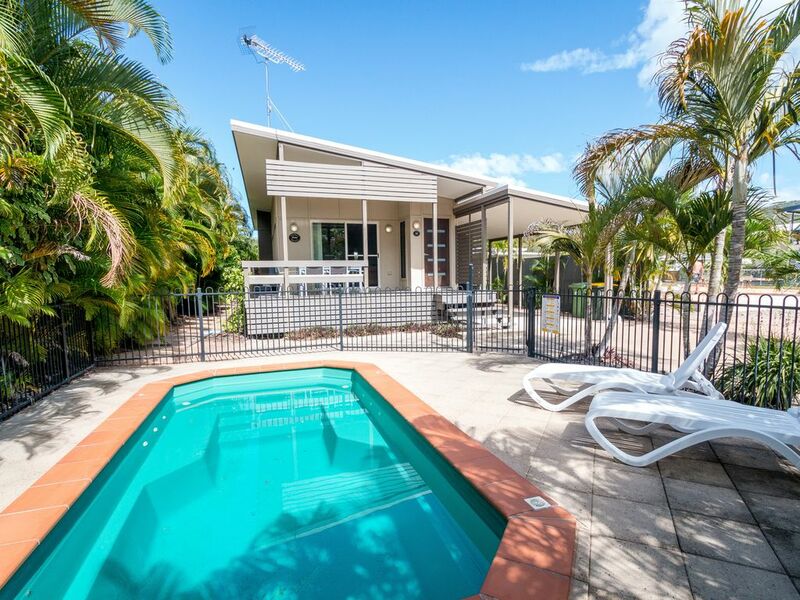 Dolphin Escape is a stylish new Beach House well designed and presented for your holiday accommodation needs. Only a boardwalk stroll to the beachfront at Horseshoe Bay and overlooking the natural lagoon, this exciting home has been furnished and equipped with no shortcuts. * DVD/Stereo with USB & surround sound. Great space inside. Very tidy. Peaceful. Kids loved the pool and the walk through the forest across the road. Only negative were the vertical blinds. Allowed too much light in from sun during the day and street lights at night. Had to hang up blankets as proper curtains in the bedrooms. A relaxing property located about 10min stroll to the beach and shops. Great pool area. Although the main lounge / dining is airconditioned there is no a/c in the bedrooms. The rental company initially gave us the wrong address which caused some confusion. Television and a/v was difficult to operate. Told rental company but no action taken. Overall a relaxing residence. We did look at this issue and found the remote was faulty. We ordered a new remote immediately and new TV remote is now in the home. Sorry for this inconvenience to you. Thoroughly enjoyed our stay at Dolphin Escape. Great pool, house is neat and very clean and well equipped. Boardwalk is ok during the day but I wouldn't use it at night. This makes the walk into Horsehoe Bay a little longer. We had a car for most of our stay so it wasn't a problem. The property was simple and comfortable for our young family of 2 adults and 4 children. Comfortable beds and enjoyable beach toys for the children. Easy drive to Horseshoe bay / beach.